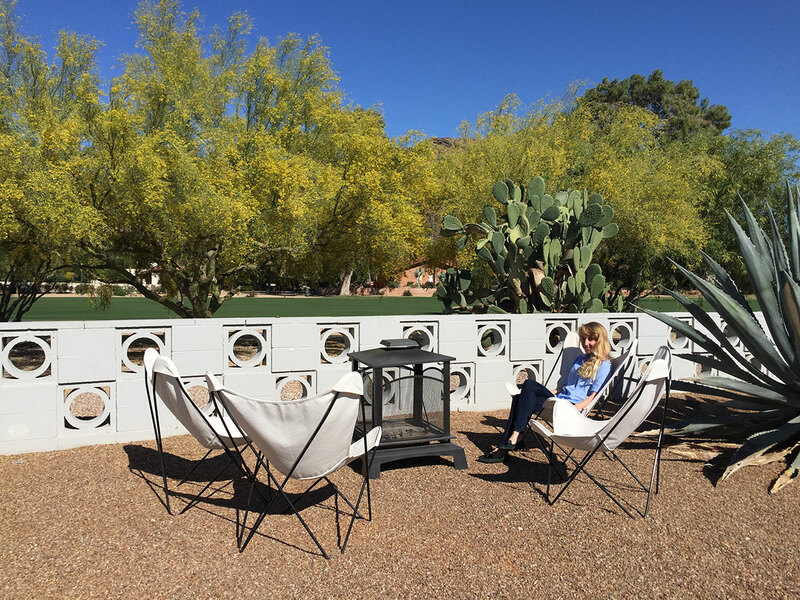 This home was expanded and slightly remuddled along the way some years ago, and the current owners are slowly bringing aspects of the home back, such as the large stone fireplace the found under some layers of new material. 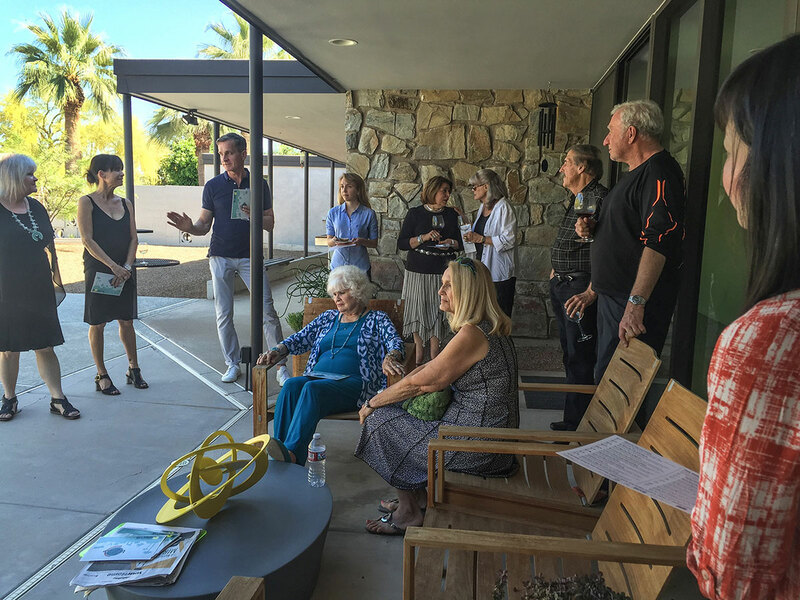 They graciously hosted a meeting of the Beadle Registry for Modern Phoenix Week 2016. 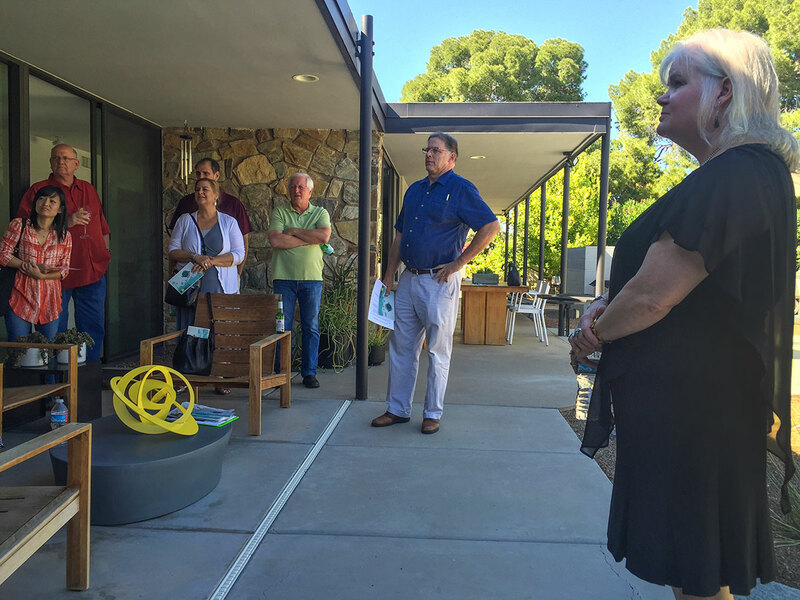 At the Registry meetings, homeowners, enthusiasts and preservation professionals can get together and share ideas about restoration of their Beadle homes. 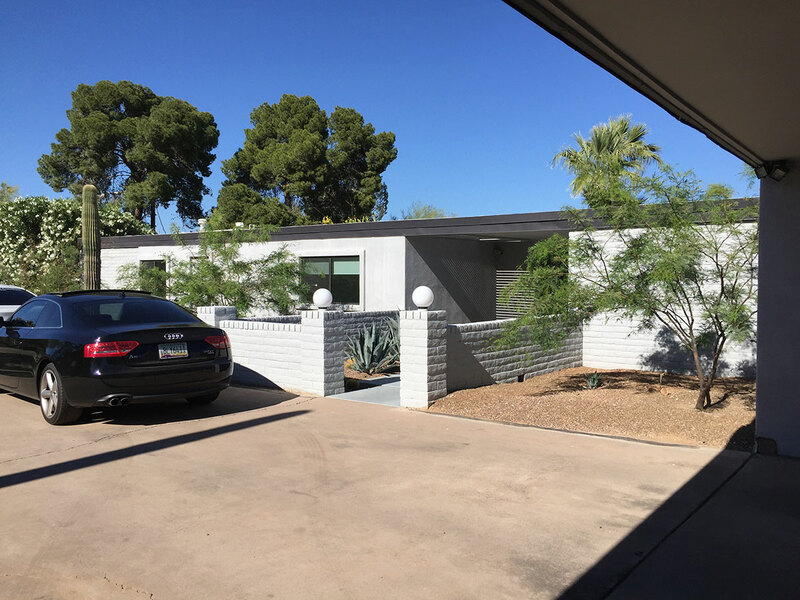 The property shares a low breezeblock wall with the luxurious Paradise Valley Country Club golf course. 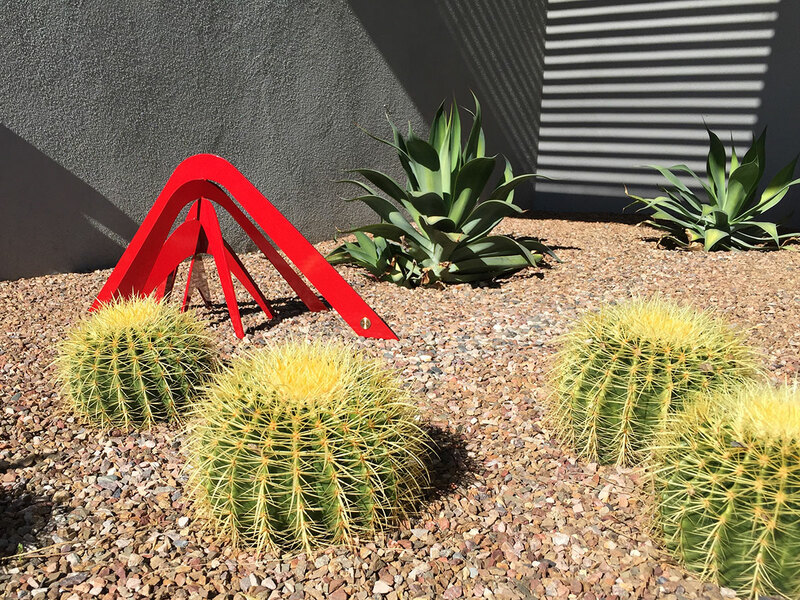 Large and small scale steel sculpture by Al Beadle is available through the For The People shop at Central and Camelback Road in Phoenix.